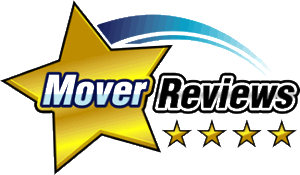 Pack For Your Move - Moving Services Inc. | Moving Services Inc. Packing experts give you some tips. Packing many or all of your items can help you save money on the total cost of your move. By reviewing the tips and guidelines contained in this brochure, you can learn how to properly and safely pack your goods. These packing tips are taken directly from suggestions made by experienced packers. Moving Services, Inc., like any other van line, has the right to inspect packed-by-owner (PBO) items to ensure they are sufficiently packed to protect your goods. If, in the carrier’s judgment, a container is not packed properly, the carrier may ask you to repack it; or an Moving Services, Inc., representative will repack the container for you for an additional charge. Let your Moving Services, Inc., representative assist you by providing suggestions on the use of proper packing materials and containers. He or she also can provide helpful hints for protecting your goods. Use only strong, corrugated cartons with tops or flaps that fold shut. Collecting boxes discarded by your local grocery store can save you money. Make sure boxes are clean of insects and other pests. Save old newspapers for packing material, but be careful – the ink may rub off and stain certain items. Moving Services, Inc., recommends that you use blank newspaper that can be purchased from your Moving Services, Inc., Agent. For a fee, your Moving Services, Inc., Agent can provide specially made cartons for all your household goods, including mattresses, clothing and mirrors. The added protection of these cartons may help you avoid damage resulting from poor quality packing material. After you collect your materials, select a work area that is large enough to handle various sizes of cartons. Also, choose a strong table with a protective cover as your work surface. (We recommend that you do not use your good dining room table.) Keep your marking pens, tape and scissors nearby. Spread a neatly stacked, generous amount of packing paper flat on your table. You’re almost ready. Here are a few more suggestions before getting started. Items of high value should be packed in the presence of the carrier so that the items are identifiable. If you choose to have the carrier pack items of high value to ensure that they are properly protected, an additional charge will be associated for the service. Pack one room at a time; it will help when the time comes to unpack. Mark all boxes with room and box number. Keep a carton identification log that shows the number of boxes packed per room and the total number of cartons packed. (Your Moving Services, Inc., Van Operator will provide an official inventory during the loading process). Be sure to have plenty of “filling” material available; when in doubt, use more. Take extra care to make sure the bottoms of all cartons are secured and will hold the weight of the contents. Always pack heavier items toward the bottom of the box and lighter items toward the top. Try not to exceed a weight of 50 pounds per box; it makes moving them a lot easier. Remember — the heavier the item, the smaller the carton. As you pack each layer of a box, use crumpled packing paper to assure a snug fit wherever there is a gap. All boxes that contain fragile items should be marked “Fragile.” Labels, including “Fragile”, “Load Last/Unload First”, etc., are provided by your Moving Services, Inc., Agent. The remaining section of this brochure suggests how individual household items can be better prepared for moving. Some items, such as grandfather clocks, hot tubs, etc., require preparation by a third party service. For those items requiring special handling, Moving Services, Inc., can recommend a reputable service provider. There are certain items that Moving Services, Inc., will not knowingly transport, including jewelry, coins, stamps and other similar items of high-value. If you include these items in your shipment, Moving Services, Inc., may deny any claims for loss or damage to them. We encourage you to transport these items and not include them in the shipment. Bedding — Fold and pack all pillowcases, sheets, linens, and towels in clean, medium-sized, 3-cube cartons. Pack blankets, quilts and comforters in large, 4.5-cube cartons. Most beds will be disassembled by Moving Services, Inc., and set up in your new home. When requested, mattresses will be placed in special-care cartons by the carrier. You can help protect mattresses by covering them with old sheets or mattress covers. Clothing — Place clothes on hangers in wardrobe cartons that are available from your Moving Services, Inc., Agency. Fold and pack other clothing in clean cartons. Drapes and Curtains — Hang drapes over crossbars in wardrobe cartons or fold and pack in clean cartons. Remove curtains from rods; fold and pack in cartons. Firearms — You are responsible for transporting handguns and ammunition. Prior to your move, notify the carrier if your shipment contains other firearms. Firearms must be unloaded, must have legible serial numbers and should be packed in the presence of the carrier. Home Theater Systems, TVs, Surround Sound Systems and Entertainment System Components — Moving Services, Inc., recommends using a qualified third party to properly prepare TVs and entertainment system components for transport. It is best to use the original packaging when available. Consult the owner’s manual for specific instructions on your equipment. Medicines — Seal caps with masking tape. Wrap and pack upright in small cartons. Some prescription drugs, such as insulin, lose their potency if exposed to heat. Check with your pharmacist before transporting them with your shipment. Moving Services, Inc., however, recommends that you carry all medications with you. Memory Foam and Extra-Thick Mattresses — Memory foam mattresses should be packed, transported and stored laying flat. Do not stand them on end for more than a few minutes as that will cause the mattress layers to separate. The mattresses can be packed in special mattress cartons (available from your Moving Services, Inc., Agency). Be sure to mark the mattress “Lay Flat — Memory Foam.” Extra-thick mattresses can be packed in cartons that are specially made for mattresses thicker than 10 inches (available from your Moving Services, Inc., Agency). Some king and queen mattresses have built-in hinges that can be folded temporarily for relocation. Note: Mattresses, including these special types, are usually packed by your Moving Services, Inc., Carrier. Mirrors, Paintings and Pictures — Tell your Moving Services, Inc., Agency Sales Representative about valuable paintings that require special care. Wrap small mirrors, pictures, paintings and frames in unprinted newspaper or paper pads (available from your Moving Services, Inc., Agency) and place on edge in cartons or mirror cartons. Never place printed newspaper directly against paintings. Personal Computers — Pack computer equipment — PCs, scanners, printers, etc. — in original cartons when available. Otherwise, use strong, corrugated cartons and place protective padding on the bottom of the carton. Wrap an old blanket or protective pad around the item and place it in a carton. Place additional padding between the carton and the computer. Wrap cords separately, label them to identify usage and place in a plastic bag away from delicate surfaces. Non-detachable cords also should be wrapped. Place cords between the padded computer and the carton. Silverware — Wrap each piece in cloth or low-sulfur-content paper (available from your Moving Services, Inc., Agency) to prevent tarnishing. Wrap the silver chest in an old blanket or moving pad to prevent scratching. Waterbed Mattresses — Drain all water from the waterbed and, grasping the internal baffle system with the external vinyl, fold the mattress 20 inches at a time. Adjust folds to avoid making creases across individual baffles. Consult your owner’s manual for special instructions concerning the care and transportation of your mattress. Do not place your mattress in a carton with sharp or pointed objects. Contact your Moving Services, Inc., Agent for more information on how to move your waterbed.